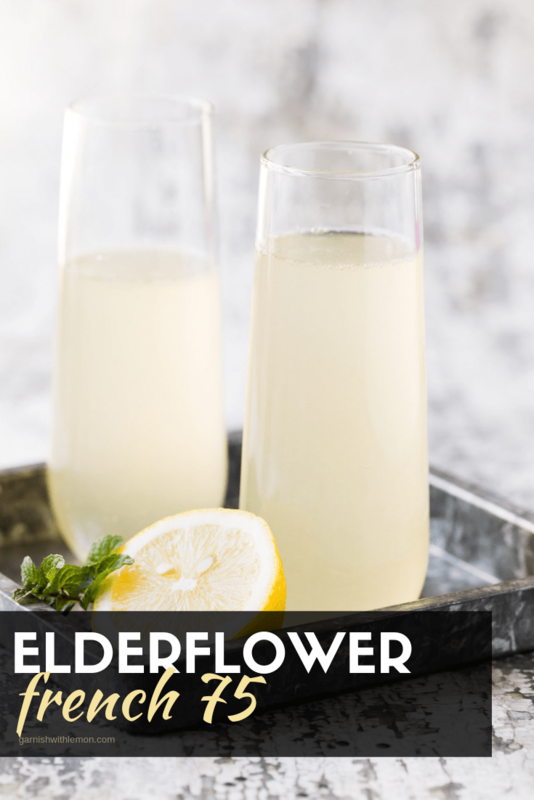 Bubbles make every occasion special, but this Elderflower French 75 takes cocktails to a whole new level! Bubbles are always fun to sip on. Maybe I find them more special because I won’t crack open a bottle on a random night and pour myself a glass like I do with wine. I usually save them for entertaining. But this cocktail is so much more than just bubbles. 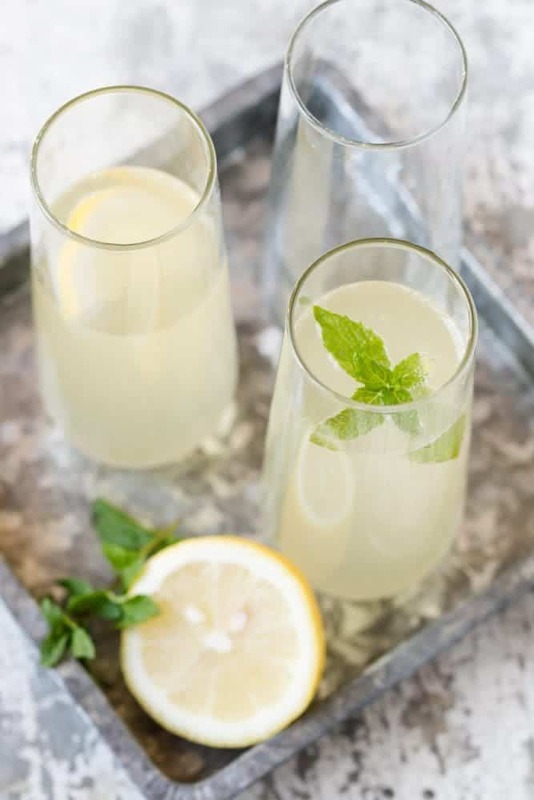 This Elderflower French 75 has 3 of my favorites in it: Elderflower liqueur, gin and Prosecco. And you know you are in for something special with that combination of alcohol. It’s no secret that we love Elderflower liqueur here on Garnish with Lemon. Whether you are looking for an easy batch cocktail, a tasty martini or a margarita with a twist, we have you covered. And now that you can add this Elderflower French 75 to this list, we have plenty of options for any occasion. Now if you want to get technical, this cocktail is really called a French 77, but who knows that? I opted for the quick and easy way to let you know that this is so much more than a simple French 75. Sometimes simple is best, but in this case, we wanted something a little different. And the elderflower is the really the star of this cocktail, so why not call it out? It is really what makes this drink special. Don’t worry, this isn’t a hard drink to make. 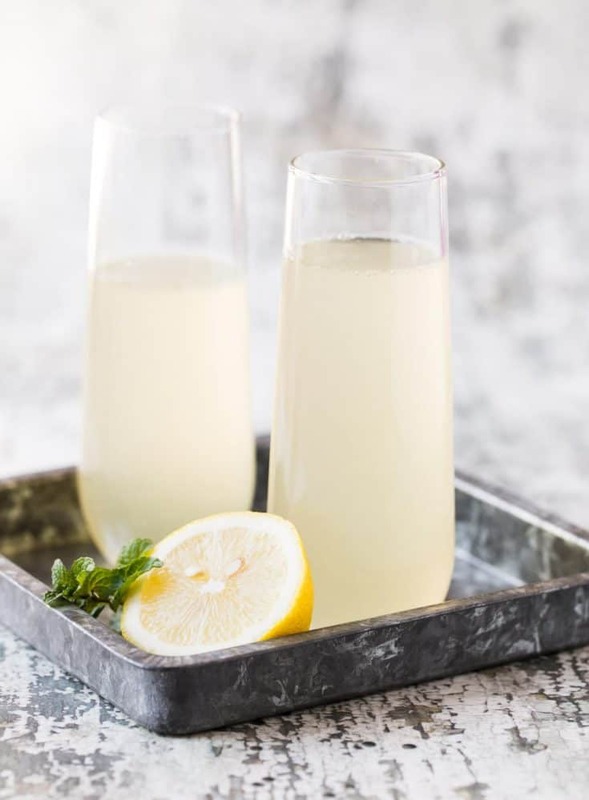 Simply add the elderflower, tart lemon juice and some good gin to your favorite shaker, shake it up, pour into champagne flutes and top with prosecco. Easy, right? Hosting friends? You can do a lot of the prep ahead of time. Simply mix everything but the prosecco in a shaker and then top with bubbles as people arrive. After all, who doesn’t love to be met at the door with a glass of bubbles? I’ll drink to that! Cheers! Tip: Make sure you take the time to use fresh lemon juice in this cocktail. It makes all of the difference in the world! This lemon juicer makes it a snap and keeps the seeds out of your cocktail. Hi. Can everything but the Prosecco be made in advance and kept in a pitcher in the fridge? Then when it’s time to serve, just pour into the flute and top with Prosecco. If so, would it still need to be shaken? I am trying to do it for a group dinner party and want to prep as much in advance as possible. Absolutely! Just pour it all in a pitcher and stir to combine. Chill until ready to serve,adding Prosecco right before serving.